Select on any of our lawn and garden products to view the many styles available to enhance your yard or outdoor space!!! Offering your feathered friends a place to make their home is a wonderful way to fill your garden or yard with the sights and sounds of nature. These Lazy Hill Farm bird house feeder posts are beautiful and functional way to display your birdhouse. A bird house or feeder is a lovely way to bring color and pleasant melodies to your garden or lawn. Give your entrance a polished look with Millwork City’s selection of classic or contemporary door bells. Make your next night under the stars even more special with these fire pits and domes. Millwork City’s collection of intricate garden lanterns by Whitehall offers you the perfect way to illuminate your outdoor space with soft candlelight. Bronze lanterns, copper lanterns, and a variety of other styles make any garden unique. 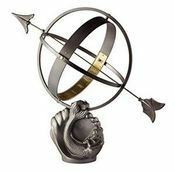 Giving your garden a feeling of refreshing energy is easy with these beautiful brass and copper weathervanes from Good Directions. Keep your lawn or garden neat and tidy with an attractive garden hose pot to round up the clutter. Light your walkway or garden perfectly with durable and beautiful lantern posts. Create the right atmosphere in your garden or walkway with the perfect lanterns. Initiate that curb appeal when installing one of the many mailbox post styles offered to make the perfect first impression to your home. Give your home the perfect finishing touch with a mailbox that instantly improves your curb appeal! 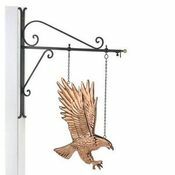 Whitehall nature hooks make the perfect addition to your outdoor oasis, bringing style to every corner and making the ideal spot for a bird feeder, small plant, wind chimes, or any hanging décor you love. Make your home stand out with a beautiful display of door numbers that proudly proclaims your space in the neighborhood. Grow climbing plants in style with these beautiful copper obelisks. Light up your garden or patio with a beautiful copper oil lamp torch from Millwork City. No garden or deck is complete without the perfect set of outdoor tables and chairs to relax away the hours. Give your garden or deck a musical accessory with an outdoor rain chain! Create a stunning climbing garden, or simply add more privacy to your space, with natural wood trellises. Give your garden just as much attention as your home with these lovely wall décor hangings. An outdoor window box is sure to sprout compliments. Use PVC and cedar window boxes to liven up and grow your home's curb appeal!